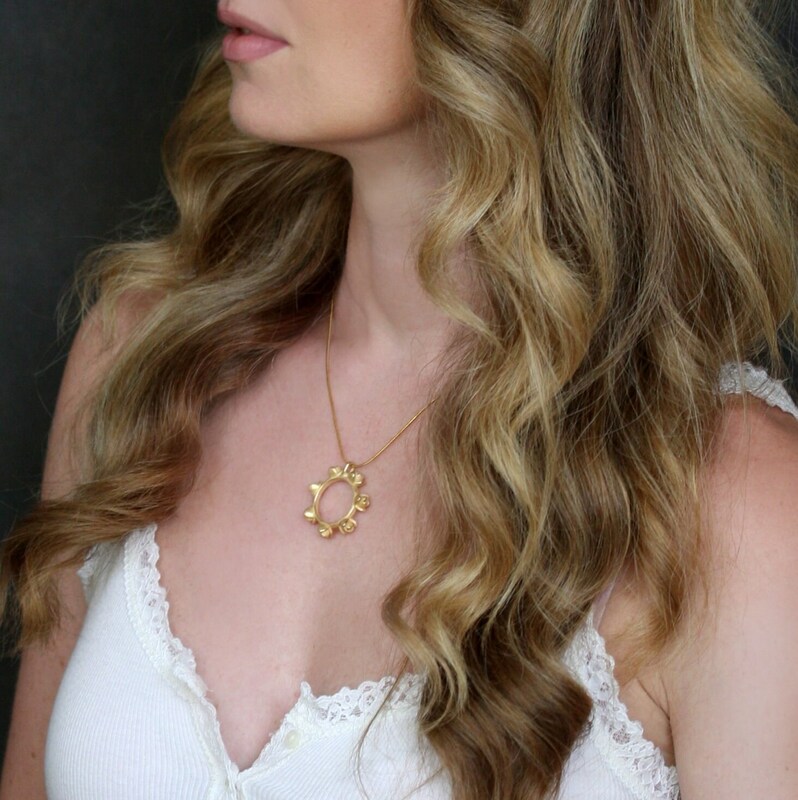 This delicate pendant was inspired by the amazing Magnolia flowers and its incredible ability to bloom throughout the year. 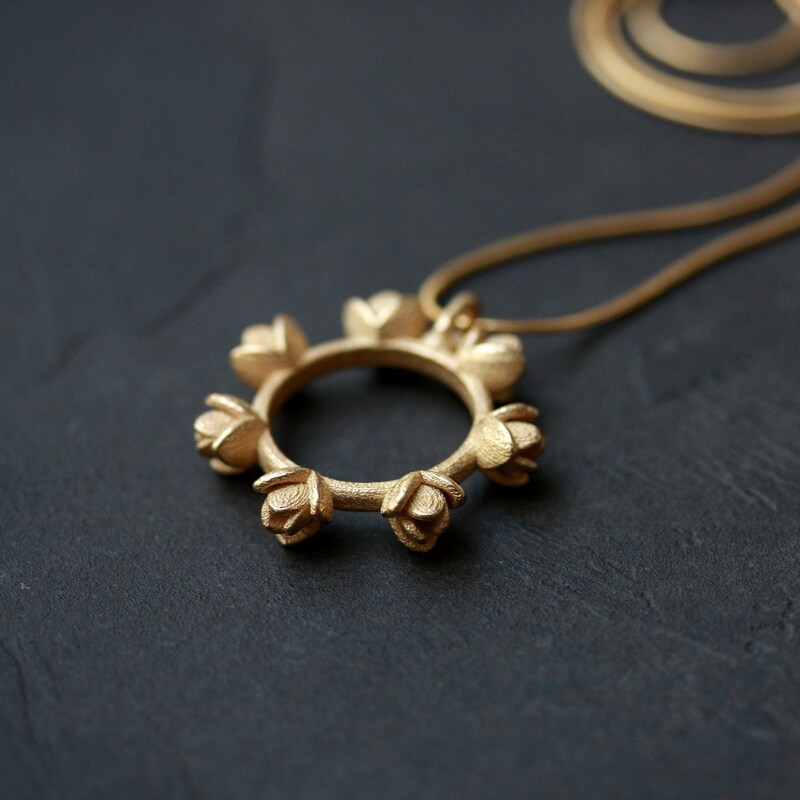 In order to bring its continuous glow to you we've developed a detailed 3D model and then recreated it using the technology of the future - 3D printing. To achieve this rough, antique look we used a new material - stainless steel, plated with 18K gold. 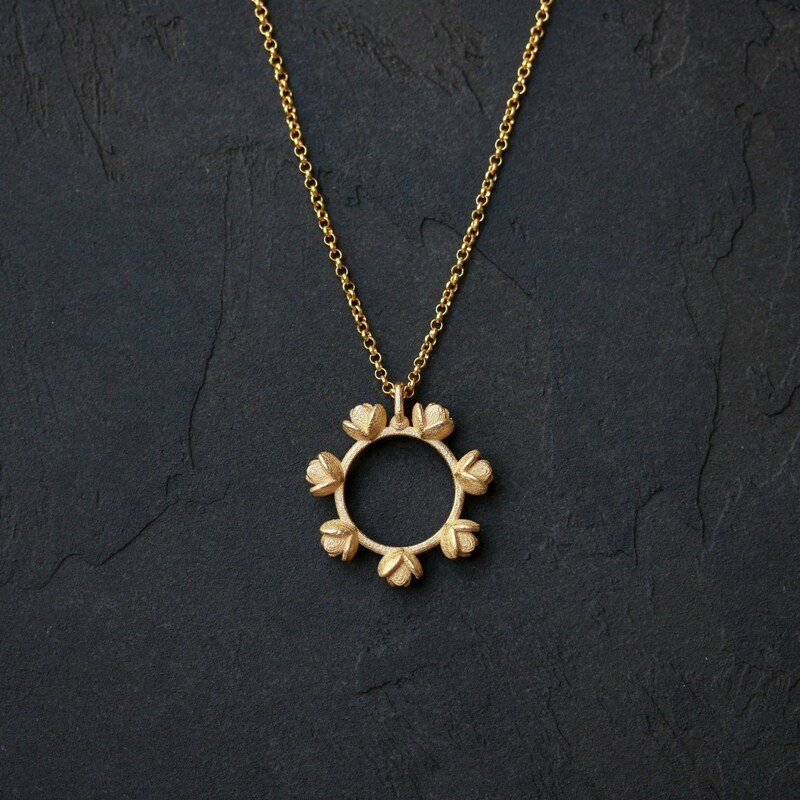 The Magnolia pendant comes with the gold-filled cable chain in two sizes: 40cm and 50cm.